July 18, 2017 Newsletter – Keep Cool with Your Own Slushy Maker! You are here: Home / Newsletters / July 18, 2017 Newsletter – Keep Cool with Your Own Slushy Maker! It’s gettin’ HOT out there! 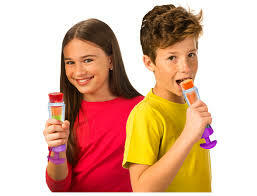 Keep your cool, have some fun, and take home one of these frozen treat makers! Fill with your favorite healthy juice, yogurt, or drink, and soon you’ll be enjoying a frosty snack. Brrrrrrrr! 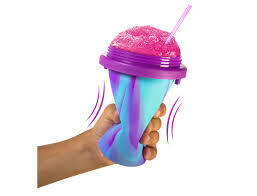 Mix up some fun with Little Kids Magic Kidchen Slushy Maker and you’ll be enjoying a treat in minutes! Freeze the magic cup, fill it with your favorite drink, then squeeze to mix. The Slushy Maker makes a delicious frozen slushy in less than a minute! 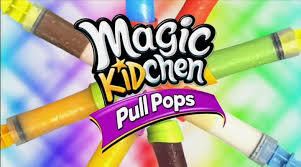 Pull Pops are the future of popsicles! They’re easy to use and let you make healthy treats using juices, yogurt and fruit. Fill the Pull Pop, pull it, freeze it, pop it out, and YUM! We had a hunch this fun, FREE event was going to be SUPER popular and we were right! The response was so overwhelming we had to stop taking RSVPs and we hope to fit everyone in. Come anytime between 10:30 and 11:45 and plan on spending 20-30 min. We’ll have painting tables set up and we’ll rotate painters in as spots open. Help decorate our “Kindness Rocks!” banner and shhhh, who knows, there may be some Hide and Go Seek Rocks hidden around Corinth Square shops! Just 2 classes left this week in our Summer Craft and Activity Classes. Spots still available. Join us in the Rainbow Room at Corinth Square.Sign up now!